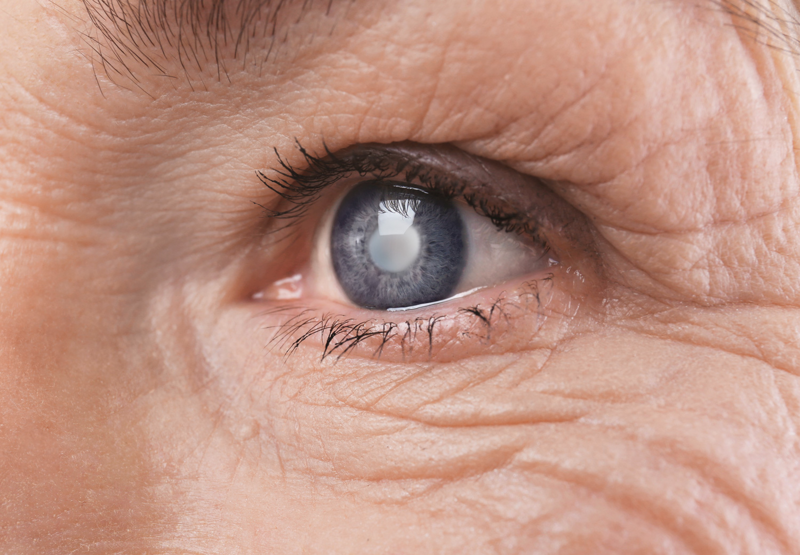 Glaucoma is the second-leading disease causing blindness in more than 3 million Americans. 90% of whom are 40 years and older. Not only does this disease affect people physically, but there are many side effects that alter the emotions and mental stability of patients living with glaucoma. There are two main types of glaucoma and a third one that is less common: open-angle–being the most common– and angle-closure, both acute and chronic conditions, and congenital. We just took the month of January to participate in National Glaucoma Awareness month. Today we’ll talk more about the symptoms associated, hear patient’s stories of their experience with glaucoma, and answer the questions you may have about it. Vision First wants to inform our patients of common eye diseases to promote better eye care and remind you not to neglect regular eye exams to prevent foreseeable diseases and eye damage such as glaucoma. Most people who develop open-angle glaucoma don’t experience any noticeable symptoms at first. That’s why it’s imperative to have regular eye exams, to detect problems early on. The progression of this type of glaucoma can be slow, but the effects can be devastating on your long-term eyesight. 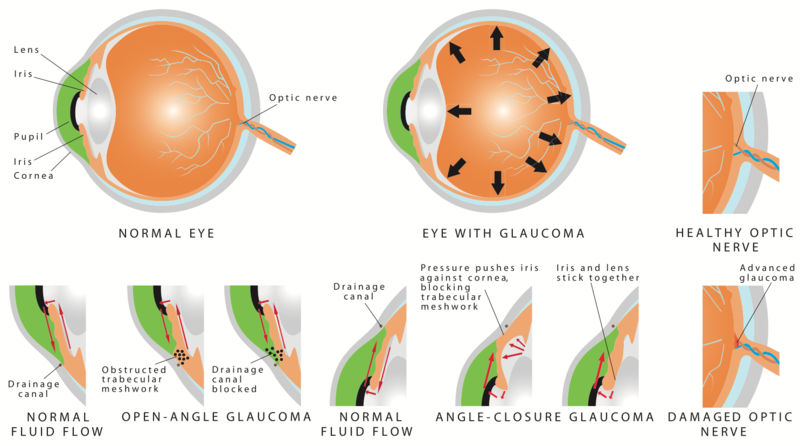 Acute angle-closure glaucoma is a medical emergency and must be treated immediately or blindness could result in 24-48 hours. This type is the more serious and can potentially cause permanent eye damage if not treated properly and quickly. Similarly to open-angle glaucoma, this type of glaucoma progresses more slowly and can damage the optic nerve without symptoms. People with this type of glaucoma will not experience any symptoms until they begin to lose peripheral vision. Congenital Glaucoma occurs mostly in children who are born with an eye defect, slowing the drainage of fluid to and from the eye. Medicine is not usually prescribed to children with congenital glaucoma. Surgery is the recommended option for safe and effective recovery and treatment. “Many people think it’s a disease that just affects elderly people, especially with being born with it and living with it my whole life, people are like, “You have glaucoma…?,” Amanda said. Amanda was born with glaucoma, after her father had the disease and went blind at an early age. She had two surgeries early in life to help with her symptoms and began a regimen of twice daily eye drops to ease the pain of her glaucoma. She has continued regular doctor visits every few months to maintain proper care for her eyes and check the status of her condition. Due to her early detection and continued care over her lifetime, Amanda has not lost any vision, which is a wonderful miracle! Two years ago, she experienced a scare and had to undergo two back-to-back surgeries. The doctors detected that she needed these procedures, but without her regular visits, this may have gone unseen. Since her surgery, her eyesight has remained stable and she continues to see her eye doctor regularly. Is Glaucoma Treatable? Or Curable? The treatment for glaucoma depends upon the nature and severity of each case and type. Glaucoma cannot be cured, but the symptoms can be controlled and regulated. Treatments and medications such as eye drops, pills, laser procedures, and surgical operations are used to prevent or slow further damage. With any type of glaucoma, regular eye examinations are very important to detect progression and to prevent vision loss or blindness. Glaucoma can worsen without the patient even knowing, so your treatment will likely need to be altered over time to achieve a lower target eye pressure and fit your unique eye needs for your type of glaucoma. Ultimately, we want everyone to know there’s hope for people with Glaucoma. Awareness and proactive care is key. At VisionFirst, we always recommend visiting our certified, trusted team of doctors for annual eye exams, which can detect early warning signs and symptoms of glaucoma or any other eye diseases. Contact us now to schedule an appointment. Feel free to ask about one of our 5 glaucoma screenings.